Are your network security policies leaving your organisation vulnerable to cyberattacks? The adoption of cloud technologies is rapidly becoming a priority for businesses, with the UK business adoption rate already at 88%. Increased agility, reduced cost and easily accessible data are at the heart of why businesses have been jumping towards the cloud, keen to profit from the many advantages it has to offer. While more and more sensitive company data is being moved into the cloud, the security of that data has become a critical issue for organisations in many industries. Barely a week seems to go by without news of another cyber-attack hitting the headlines, prompting businesses to invest heavily in next-generation technologies in an attempt to protect their infrastructure and keep their confidential data secure. In fact, Gartner has forecast that worldwide enterprise security spending is set to reach $96 billion in 2018, up 8 per cent from last year. One such technology that plays a key role in securing the organisation are network security policies. These rules ensure that only the right people have the right access to the right information, putting the organisation in the best possible position to prevent breaches from occurring. However, there are several common pitfalls that businesses can fall foul of when implementing their security policies. Here are five of the most prominent that could be leaving your business vulnerable to cyber-attacks. Arguably one of the biggest mistakes a company can make when configuring network security policies is to attempt to put policies in place without first gaining full visibility of the network. Today’s enterprise networks are vast and complex, and organizations often struggle to gain full visibility. This hinders the ability to put strong policies in place. This is also the case when making necessary changes to those policies across the entire network. For example, if one policy is changed it might have the knock-on effect of reducing security somewhere else. By incorporating a centralised solution that looks across the whole technology architecture, staff can manage all corporate policies through a single console and see the potential implications of policy changes before they are made. To put it another way, you can’t manage what you can’t measure – so start with visibility. This one may sound obvious, but having network security policies in place is self-defeating if they inhibit the business they were intended to help protect in the first place. Businesses are sensitive to the fact that they need to comply with measures to protect critical assets, but if that prevents them from using the applications essential to getting the job done, they will find ways around these policies. The solution is to provide visibility into how application connectivity is maintained in coordination with underlying network security policies. This approach ensures that the business and security teams are always in sync and aligned to the end goal. From a management point of view, businesses need to have visibility into their application connections in order to understand the effect that could accompany any network policy changes and their impact. Today’s cyber-attacks are becoming more sophisticated than ever before and new variations of both known and unknown threats are being discovered at an alarming rate. For example, 18 million new malware samples were discovered in Q3 2016 alone – equal to 200,000 per day – and ransomware attacks on businesses reportedly increased three-fold between January and September 2016. This means organisations must keep their network policies up to date by carrying out regular patches and system analysis, which requires a centralised management system that looks across the whole IT environment. Hackers are constantly on the lookout for vulnerabilities, meaning no company - irrespective of size of industry focus - can afford to leave holes unplugged. Striking the right balance between security and convenience is not an easy task, but key to ensuring policies are adhered to. Any procedures that significantly hinder an organization’s agility or an employee’s ability to do his or her job will likely result in them being overlooked or ignored. The other danger is that staff will find a workaround, which can potentially have serious security and compliance implications. This is when ‘shadow IT’ comes into play, where employees use applications at work without the company’s knowledge or control - according to one poll, 78% of IT pros said their end users have set up unapproved cloud services – each of which can represent a potential unmanaged risk. It is therefore essential that organisations have tools in place that allow them to easily adhere to and manage security policies. Anything that forces people to drastically change the way they work, or results in an organization’s lack of agility, is counterproductive. Increased security interwoven with business agility is the ultimate goal. As complexity in virtually all areas of network security and compliance has increased, automation has grown to become a central component. 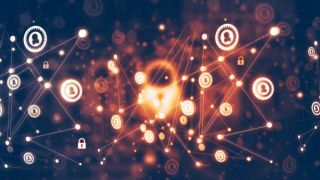 There are now simply too many change requests to increasingly diverse networks for security teams to keep track of manually, leading to human error and increasing the exposure of the business. The role of automation is now not only a possibility but an essential tool for keeping pace with this degree of change and complexity. Finally, automation also has a key role to play in network security policy management and continuous compliance. Policy-driven automation ensures that an organization is compliant with internal and industry guidelines at any given point in time. However, it also means that the control plane can be adjusted at policy level and then implemented immediately across the network, further lifting the security level when required through adjustment, and delivered as a business-as-usual task. By connecting security to operations in this way, companies can vastly improve their resistance to constantly evolving threats. This is a critical point in making a tight security posture a reality all the time, rather than “better” for a moment in time. With a shortage of skilled IT professionals, and a dependence on the work they do, these teams tend to be stretched on a day-to-day basis within their organisations by mundane administrative tasks below their paygrade. A comprehensive network security infrastructure should therefore look to policy-based automation in order to reduce complexity, increase visibility and free up resources to focus on more complex tasks.